The invoice finance enquiries that we have been seeing recently has been typically diverse, factoring through to invoice discounting. There is a balance between people looking for a full turnover option, where all of their transactions are funded and those looking for selective or single invoice finance. In particular, we have seen a number of enquiries on the selective side, for body shop factoring on a selective basis. These are car crash repair businesses looking for funding against insurance company invoices. These tend to be financed in a very simplistic way, using selective options. We have also seen a number of enquiries from the recruitment sector, and we have a number of them in our pipeline at present. These include both permanent placement business and temporary staff. The permanent placement businesses tend to deal with single large invoices, against which they would like to release cash immediately they arise. On the temporary side, we have continued to see businesses that are struggling with RPO debtors. In some cases, other funders have not been able to release sufficient cash against these RPOs, and we have found alternative options where funding is going to be more flexible. Recruitment companies supplying both the construction and care home sectors have been received. Business loan enquiries have continued to come in. Again these range in their nature from start-ups through to more established companies looking for large tranches of money eg 300K. 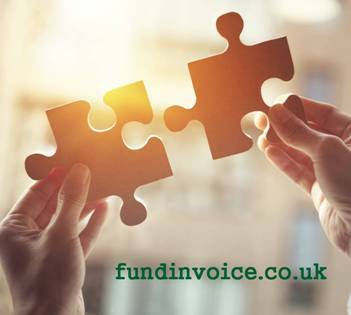 In general, we have tended to see more companies that are in need of some form of funding, rather than existing invoice finance users seeking reduced rates. There are of course, some of these price comparisons in the pipeline as we have been pretty successful at finding cost savings for existing users in the past. We have also seen the normal diverse range of “weird and wonderful“ enquiries which range from trade finance deals through to unique arrangements to fund specific debtors that have not been able to be covered by other providers. We have found our enquiry numbers, during the first quarter of 2018, to be almost twice what they were in the previous quarter. There is definitely an appetite to borrow amongst some, and there are plenty of options available from the invoice finance companies. It is really a case that the funders are not the ones holding up deals, it tends to be more a case of the customer setting the pace. We have been pleased to receive introductions from a number of introductory sources and we offer a scheme under which you can refer business to us for a commission.